Will natural gas dim solar’s shine? March 9, 2015 — On the outskirts of downtown St. Paul, Minn., Xcel Energy’s High Bridge Generating Station offers an iconic view of the current state of electrical generation in the United States. Opened in 2008 as a replacement for an aging coal plant, the 534-megawatt natural gas facility looms over three solar photovoltaic panels that provide a sculptural element to the site in addition to 9.8 kilowatts of electricity. In the United States in 2014, PV accounted for around half of a percent of the nation’s electricity production compared with natural gas’s 27 percent, according to the U.S. Energy Information Administration. Yet if PV seems more ornamental than a serious energy contender, the data over the past two years documenting a dramatic increase in PV generation show a promising rookie ready to compete in the big leagues. Both natural gas and PV have compelling attributes in an age where concerns over global climate change have led to mounting public and political pressure to reduce carbon emissions. PV is virtually carbon free and for all practical purposes has an endless energy generator in the sun. However, it’s intermittent, while natural gas provides constant baseline energy at nearly half the level of carbon dioxide emissions as coal. Both natural gas prices and PV costs have plunged in recent years. Somes utility-scale PV projects in the West have power generation comparable to natural gas plants — in the hundreds of megawatts — and were built at costs competitive with other energy sources. At the same time, natural gas production is growing fast due to hydraulic fracturing and plummeting costs. All this leads to a big question: As natural gas grows, will it clip solar’s success — or can the two be collaborators in creating a less carbon-intense energy system? Let’s start with the facts. The EIA points to a more than 100 percent increase in PV generation from 2013 to 2014, by far the highest growth rate of any generation source, well beyond natural gas or wind. Using Federal Energy Regulatory Commission data, a recent report at Renewable Energy World revealed that renewables slightly beat out natural gas in new generation for 2014 (at 49.81 percent compared with 48.65 percent). PV and solar thermal alone accounted for 20.4 percent. Four factors have propelled PV’s dramatic rise. 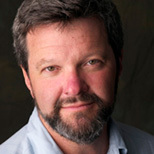 Stefan Reichelstein, professor at the Graduate School of Business at Stanford University, points to federal tax credits of 30 percent for solar installations, state renewable portfolio standards — RPSs — requiring utilities to invest in renewable energy, pro-solar policies and the plunging cost of panels. California is a good example, with a renewable portfolio standard calling for 33 percent of all retail electric sales to come from renewable energy by 2020. With one of the country’s best solar resources, the Golden State added 1,700 megawatts of PV in 2014 out of total of 2,500 MW of new renewable generation, including the largest PV installation in the world. The state’s Go Solar program and large utility-scale projects have led to its number one ranking for solar energy production in the country. Twenty-nine states have renewable portfolio standards, too, helping fuel the growth of PV. SEIA’s list of the top solar states for installed capacity includes North Carolina, Texas, Arizona and Missouri. Paralleling PV’s increase in popularity has been a dramatic rise in the availability and use of natural gas to generate electricity. Natural gas’s boom derives from the hydraulic fracturing — fracking — revolution that began in an experimental phase in the 1970s and 1980s as a result of federal government-sponsored research at a time when the industry had been in a slow decline, according to the environmental think tank The Breakthrough Institute. Hydraulic fracturing uses a mixture of water, sand and chemicals to drill through limestone and shale to recover natural gas. After two decades of experiments Mitchell Energy, which had worked extensively with government agencies, developed an innovative, inexpensive drilling technology widely credited with jump-starting the shale fossil fuel revolution. Today about one-third of all natural gas comes from shale. 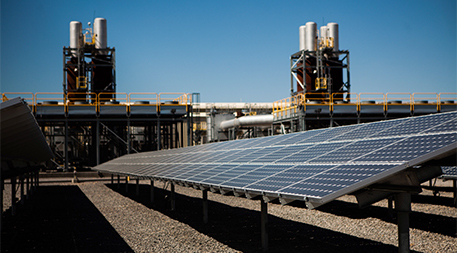 Solar advocates see natural gas as less a competitor and more of a complementary energy source.FERC reports 59 natural gas plant expansions and new facilities in 2014 added 7,485 MW to the grid nationally. The year before, even more plants and roughly the same amount of power was added. While it’s true that PV installation rate grew faster than the natural gas installation rate over the past two years, the aggregate amount of electric generation from the sun is still smaller than natural gas and wind, so new natural gas production added more power than any other energy source. So, returning to our original question, what does this rise in natural gas mean for the future of solar power in the U.S.? Solar advocates see natural gas as less a competitor and more of a complementary energy source. “Natural gas and solar are to me the two sources of power that many in the energy sector are looking at as the biggest players moving forward — at least for the foreseeable future,” says Kimbis. “Great synergy” exists in deploying PV as an intermittent power source supplement to natural gas’s status as a baseline power source that runs 24/7, he says, pointing to a Florida power plant that deploys both to optimize power production. “We’re not in a position to attack natural gas, because it’s a really nice fit with solar,” he says. The Tahoe-Reno Industrial Center in McCarran, Nevada, is powered by both natural gas and solar photovoltaics — a portent of the future? Photo © Max Whittaker/Reuters/Corbis. The PV market is really three separate markets with different engines driving their growth: rooftop, community solar and utility-scale solar. Utility-scale PV projects — mainly being constructed in the Southwest states and California — will be affected most by natural gas prices, according to Steve Fine, vice president for ICF International. Complicating the picture is the fact that natural gas and PV each has its own set of challenges that could thwart future growth.Predicting how a diminished RPS will impact rooftop solar and community solar is difficult. Many homeowners deploy PV to take advantage not only of the sun but of tax credits. The dropping price of panels from $7 a watt to a likely $2.30 this year makes PV “within striking distance, in economic terms, of new construction for traditional power-generation technologies, such as coal, natural gas and nuclear energy,” according to McKinsey & Company. As for community solar, early results in Minnesota show an appetite among larger companies and institutions, which like the hedge the 20-year contracts provide. Complicating the picture is the fact that natural gas and PV each has its own set of challenges that could thwart future growth. Among those for natural gas are continued environmental concerns over hydraulic fracturing and the cost of groundwater contamination, the use of chemicals and the leakage of pollutants during extraction. The transport of natural gas through pipelines and trucks create fears of environmental degradation. The environmental community is marshaling an effort against hydraulic fracturing while some financial analysts point to a natural gas glut that could create a financial meltdown. Solar PV faces its own issues. One clearly is the 30 percent solar investment tax credit, which Congress will likely debate before the credit lapses at the end of 2016. As the wind industry has discovered, there is no guarantee of renewing tax credits. The wind industry uses a “production tax credit” it shares with geothermal and bioenergy. Congress put off passing the PTC in 2014, finally doing so in two weeks before the end of the year. The one-year extension applied retroactively only to projects started in 2014. Enacted in 1992, the PTC has been allowed by Congress to expire six times. The Union of Concerned Scientists reported wind installations in years after those expirations dropped between 76 and 93 percent. Extending it this year looks daunting. Could solar run into the same problem? But the natural gas industry over the decades has enjoyed its own hefty set of subsidies, according to a 2011 report prepared for the Nuclear Energy Institute by Management Information Services, Inc. From 1950 to 2010 natural gas companies received $121 billion in subsidies, the majority ($106 billion) coming through tax policies. The report pointed to depletion allowances for drilling and development costs as well as the alternative fuel production credit as the primary subsidies for natural gas. Indeed, while few experts expect solar electric generation to overtake natural gas anytime soon, the idea of its ascendance seems agreeable as the U.S. government moves to reduce carbon emissions and the market moves to reduce risk. The most recent EIA forecast suggests natural gas overtaking coal in electricity generation by 2040, though faster retirement of coal plants could make that happen as soon as 2019. By 2040 renewable energy, including PV, will generate 16 percent of the nation’s electric needs, the EIA predicts. For a less carbon-rich future that’s not necessarily a bad outcome. As the main component of a platform for creating a less polluting power generation system, natural gas looks less like a competitor and more like a good companion to PV and other forms of renewable energy. So we're going to avoid discussing the use of fracking to acquire Natural Gas? Fracking produces massive amounts of methane, a many times multiple dirty green house gas that far exceeds the burning carbon fuels, which we also must stop. Let's discuss the cost of methane that escapes into the atmosphere and heats the planet. While we're at it, let's be honest about the melting Siberian Tundra, and the warming oceans that will soon begin releasing unmeasurable amounts of methane!!! Personally, I'm done calling the concern for life on earth a result of Global Warming or Climate Change. We are continuing to avoid the reality that I now call Climate Armageddon. We must stop quickly the use of all carbon extraction and turn as quickly as we can to local, sustainable, renewable forms of energy where ever possible, as quickly as possible. This is where our investments must go, for we will pay a far higher price every minute we delay. We must heavily begin to ramp up taxes on fossil fuels and gasses, cut Oil Industry subsidies for the way carbons are extracted and turn those revenues towards renewable investments across the board, world wide. And do it quickly! WE HAVE THE TECHNOLOGY! We now need to invest far more than we have in it. This is no longer a game of can we stop Climate Armageddon. It is not a matter of how much we can limit the colossal damage it will do in the years ahead. It is now a matter of survival for life on earth and we must take it very, very seriously. Thanks, Frank. It's not a question "if" solar can and will overtake gas, and everything else, it's a question of when? Silicon based PV is infinitely scalable and now virtually free. Financing mechanisms are becoming widespread (YieldCos are becoming interesting now) and the long boom is on. My guess is that by 2050 solar will be the long pole in the world's energy tent, but, of course, time will tell. Resistance is futile. "...the 534-megawatt natural gas facility looms over three solar photovoltaic panels that provide a sculptural element to the site in addition to 9.8 kilowatts of electricity." 9.8 killowatts is the instantaneous power consumption of about ten average houses. If this isn't a typo, the solar panels are indeed ornamental. Lazard energy version 8 puts solar and wind available cheaper than fracked gas. Even that's too high for solar, since they use 20 years life for panels that will last 30 to 40 years. Fracking our water is a dead end, and fracking is already peaking.